How To Become A Qualified Lorry Driver? Whether you are looking to enter the industry or take courses to become fully qualified, there are several courses you must complete to become a qualified lorry driver. Our guide gives you a comprehensive look at what is needed to be a lorry driver. 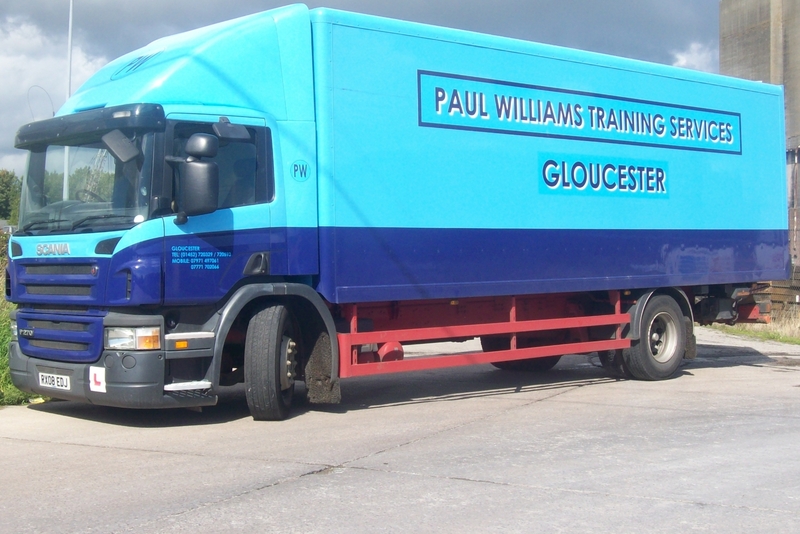 Paul Williams Training Services offer a number of driving courses for lorry and bus drivers. No matter where you are located, our team can provide professional and focused training. You must ensure you are over 18 and you have passed your initial driving and theory test to attain a full driving license. Without this, you can not gain your full Driver CPC which is required to become a lorry, bus or coach driver. There are some exceptions where you will not require a full Driver CPC, however, some courses will still have to be taken for you to become qualified to drive these vehicles. You will not require a full Driver CPC if you do not want to drive for a living, for example driving as a hobby or for non-commercial use. It will also not be required in other specific situations, such as taking your vehicle for an annual MOT test. If this is the case, you will only have to pass two parts of the test to drive these vehicles safely. This includes Part 1 (Theory) and Part 3 (Driving Ability). Additionally, if you are taking an approved National Vocational Training course, you can drive professionally for up to 12 months when completing Part 1 and Part 3 of the Driver CPC courses. Part 1 is also split into two parts which are multiple choice and hazard perception. Both tests are taken separately but can be completed on the same day. These must be completed within two years of each other to pass this unit. Part 2 can be completed as soon as you have your provisional license. This test is made from 7 case studies, with multiple choice questions on each case study. Part 1 must be completed before doing Part 3, which will ensure you can drive the vehicle correctly as well as completing vehicle safety questions and off-road exercises. Part 4 also matches up with Part 2, which must be completed before you can do the final part of the test. This will require a lorry, bus or coach and several practical demonstrations using the vehicle. Once you have gained your Driver CPC, this must be renewed every 5 years so you stay qualified. If you are over the age of 65, you will have to renew your license every year to ensure your lorry or bus driving skills are still at a high level to offer complete safety on the road. To regain your full Driver CPC, you must take 35 hours of periodic training every 5 years or yearly. Whilst you can take refresher courses and training whenever you require, you will not remain qualified without periodic training. If you would like more information on how to become a qualified lorry driver, get in touch with Paul Williams Training Services today. We will provide a fast response and organise a suitable time for you to complete any of the courses we have available. Call now on 01452 720329 or 07771 702066 or fill in our contact form to make an enquiry.